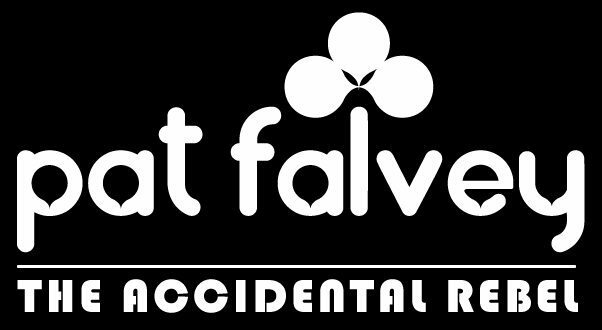 Pat Falvey Irish and Worldwide Adventures limited is bonded and fully licenced by the Irish Commission for Aviation Regulation, TA0791. 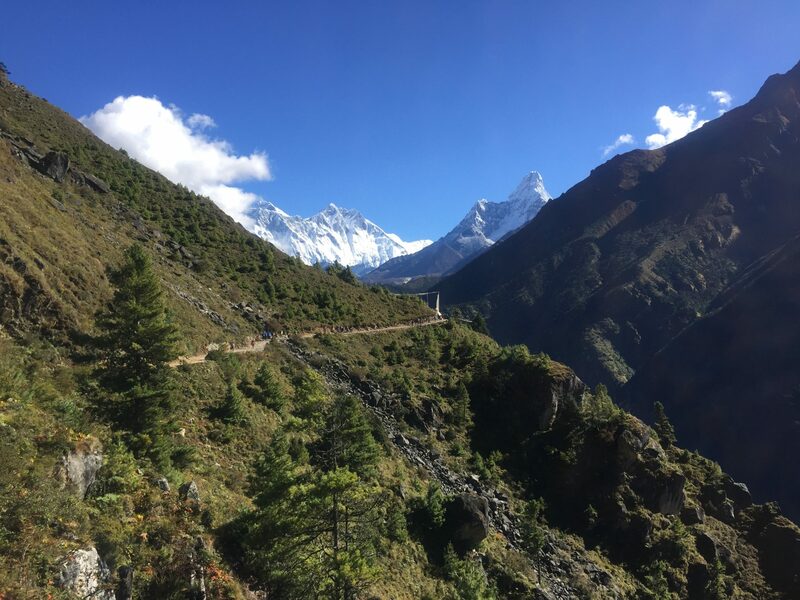 Our Everest Base Camp trek offers an amazing adventure trekking through the Khumbu region and the foothills of the Himalaya, the highest mountain range in the world. The Himalaya contains eight of the 14 eight-thousanders either entirely or sharing a border with India or China. 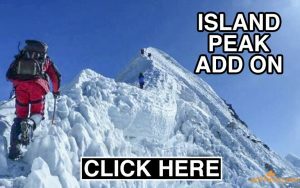 Their names alone inspire awe – Mount Everest, Kanchenjunga, Lhotse, Makalu, Cho Oyu, Dhaulagiri I, Manaslu and Annapurna I. 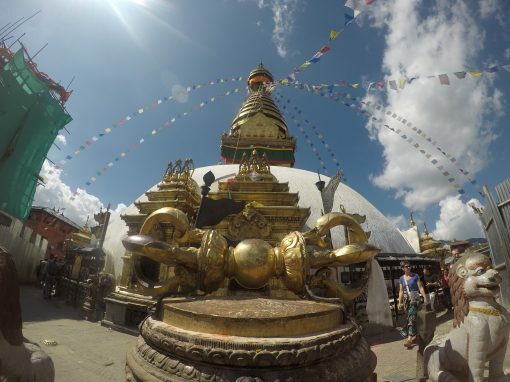 Our adventure begins in Kathmandu, a city full of vivid colour, endless festivals and ancient culture. Having experienced the vibrancy of Nepal’s capital we take a 30-minute flight to Lukla in a region where some of the world’s highest mountains rise majestically into the sky. Our trekking starts in Lukla from where we make our way deeper into this wonderland where mountains project like massive pillars from deep, river-gorged valleys. We trek along narrow paths etched from the steep hillsides in this mystical mountain region which stretches across Asia, from Indus in the west to the Brahmaputra in the east. 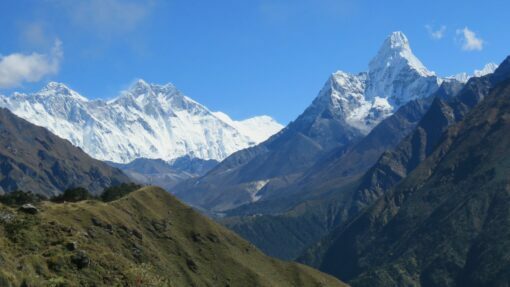 The trekking and the views are spectacular as we make our way ever higher, stopping in traditional villages and visiting local tea houses and Buddhist monasteries en route. Seven days after starting our trek we reach Everest Base Camp where we mingle with other trekkers and climbers whose sights are set on the summit of what the Nepalese call Sagarmatha (Forehead in the Sky) and what is known to the Tibetans as Chomolungma (Mother Goddess of the Earth). At Base Camp, we will be in a place that, for centuries, has been the setting for epic feats of exploration and mountain climbing. Here we are in a cathedral of majestic mountains where, according to the people who live in the valleys below, the gods reside. When you turn your gaze on Everest, the highest of them all, there is definitely a sense of being in the presence of something extraordinary. After leaving Base Camp, we make our way back to Lukla and take a return flight to Kathmandu. There you will have a few days to explore and immerse yourself in the energy of that captivating city, savouring its tastes, sounds and unique atmosphere. 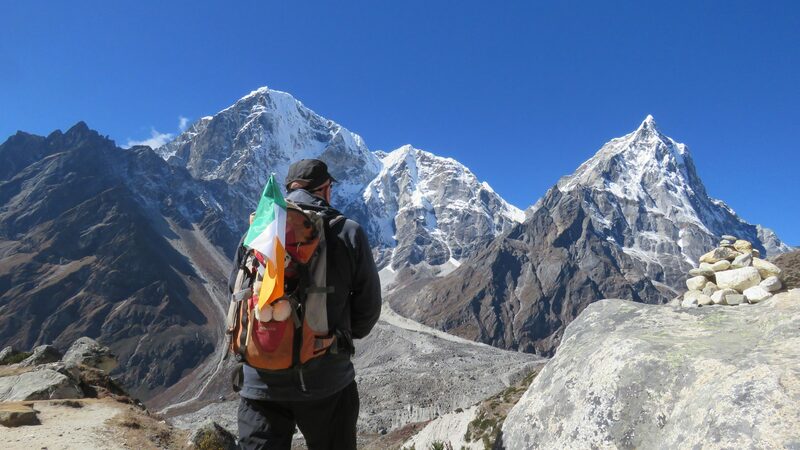 Fly from Dublin Airport to Kathmandu. Overnight in city centre hotel. Depending on time of arrival at airport day 3 may become a free day in Kathmandu. 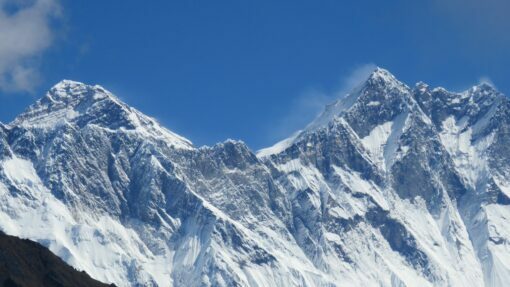 Trek to Phakding (2,610m). Overnight in Phakding. Rest day with acclimatisation trek to 3,800m.Time to chill out and explore the village. Overnight in Namche Bazaar. Rest day in Pheriche with acclimatisation trek to 4,500m. 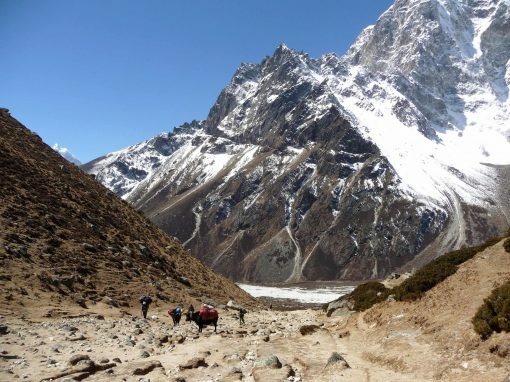 Return to Lobuche (4,940m). Overnight in Lobuche. Free day to relax and explore Kathmandu. March – October. Please contact us for exact departure dates. Full price: €3,600 including international flights and pickups. 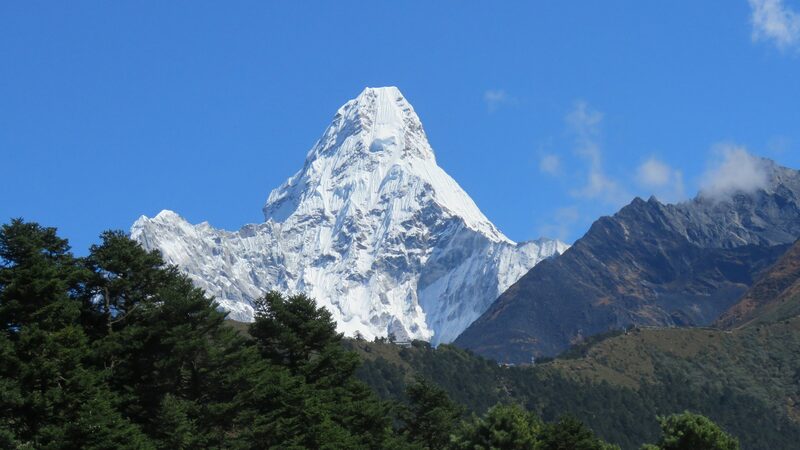 If you wish to arrange and pay for your own flight to Nepal, we will meet you at the airport in Kathmandu. Full refund applies only if cancellation is received and acknowledged 20 weeks or more prior to departure. For bookings where flights have to be paid for in advance, the flight cost is non-refundable once paid. Our Everest Base Camp trek is suitable for all ages as long as you have a good general fitness level. 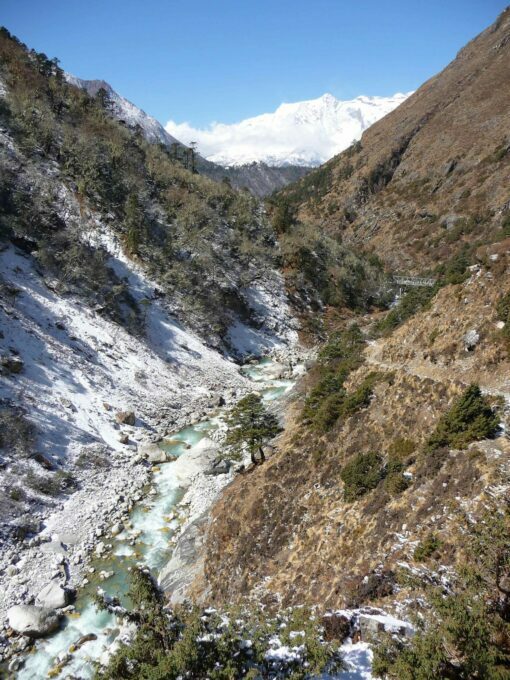 Much of the trekking is moderate but certain parts can be described as strenuous. Most days include between four and six hours of trekking with the exception of acclimatising days. We recommend that you attend our free Meet Weekend in County Kerry to say hello to the group and meet with our guides. This is an ideal opportunity to check out your fitness levels when you are assessed by our experienced guides on this preparatory hill walk. The day also provides a good opportunity to get any questions answered or concerns dealt with that you may have in relation to the trip. 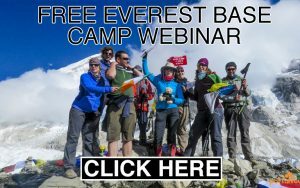 We talk about dealing with altitude and different weather conditions as well as giving tips on gear and general training. 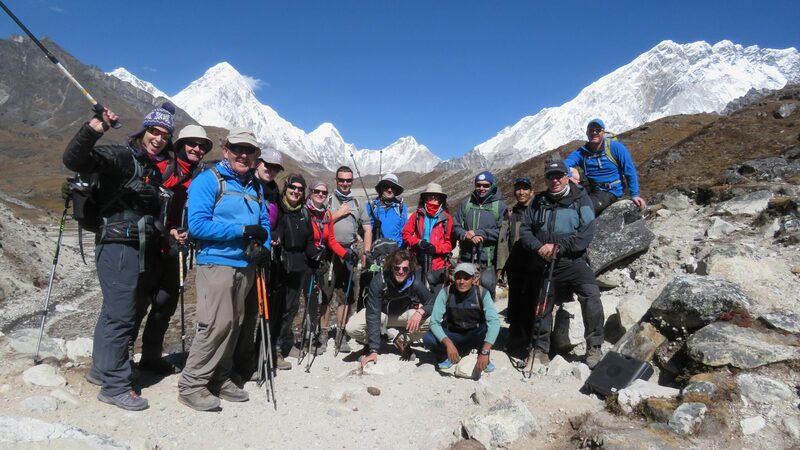 We consider ourselves among the world’s leading experts in high-altitude trekking and pride ourselves on putting together trips that provide the best possible opportunity to succeed. 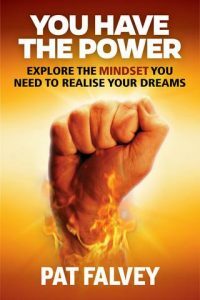 Acclimatisation is key to success and it’s important that you don’t underestimate the time you allow yourself to adjust to your new environment. Pace is key to preventing AMS (Acute Mountain Sickness) and our guides monitor the group at all times for signs and symptoms. On the Saturday off our Meet Weekend we climb one of Ireland’s highest peaks during the day while, very early on Sunday morning, we undertake a night hike. The hike simulates the requirements on the summit day/night of the actual trek, taking you out of your comfort zone and helping you learn how to prepare your mind and body for the challenge ahead. Months 1-2: These should include fortnightly hillwalking treks lasting three hours and including carrying a small/medium pack weighing 5kg approx. Months 3-4: Increase your fortnightly treks to last six hours plus and increase your pack weight to 7kg approx. Month 5: Do two walks on consecutive days twice during the month. Do a five-hour walk the first day and a six-hour trek the second day. Be careful to avoid injury. Month 6: Continue with some hillwalking but reduce to lower peaks and durations of a maximum of four hours. Ask your GP for advice on vaccinations, keeping in mind your travel history to date. You will need a valid full passport. Please ensure it has six months before expiry prior your departure date. 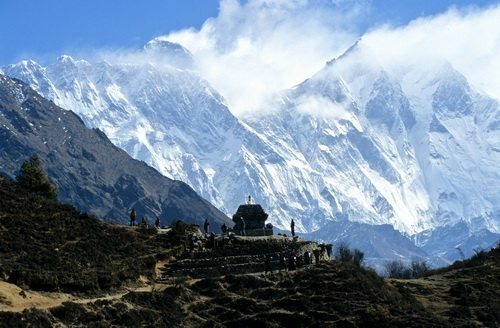 In Nepal we obtain our visas to travel in the country. All visitors are obliged to get a visa at Kathmandu airport so please ensure you have four passport-size photos of yourself before we depart (visa fee not included in the trip price). It is advisable to bring some money in cash for the trip. ATMs are not always reliable or might have a low daily withdrawal limit. Once en route to Everest Base Camp, Euro or US Dollars in cash are the best way to pay for services including porters, tips, etc. Our passion for your adventure treks and expedition is one of the defining characteristics of Pat Falvey Irish & Worldwide Adventures. We love what we do, the places we travel to and the people we work with in each destination. After 25 years of worldwide travel, we remain curious about learning more and retain our delight in sharing what we know with you. We are a hands-on company whose staff are available to answer your queries both inside and outside usual office hours. Our staff and partners in Nepal, Russia, Africa, Argentina, Peru and Antarctica are as close to us as family members and share our enthusiasm for your trips. We see their work as a vital part of each adventure and have always ensured that local staff, most of whom have worked with Pat for many years, are fairly and honourably treated. The experience and expertise of everyone who works with us is guaranteed and makes for adventures that are high on safety, support and good fun. 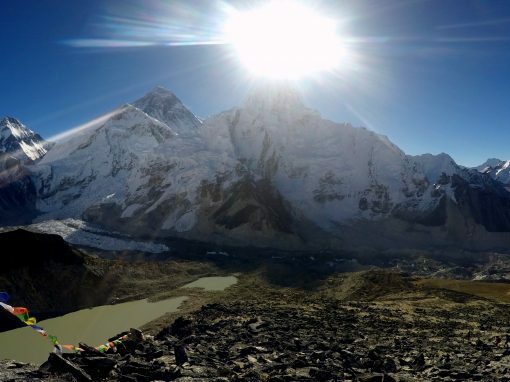 Our company is one of the world’s leading experts in high-altitude trekking in remote regions and we pride ourselves in putting together trips that give you the best possibility of success on your adventure. 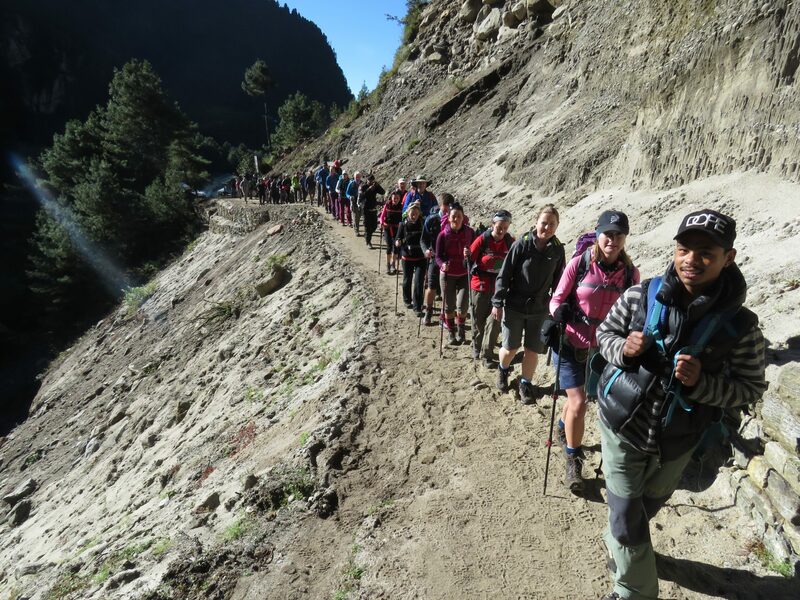 To ensure this, we have a comprehensive acclimatisation formula, designed to maximise each person’s chances of completing their trek without falling prey to the effects of high altitude or acute mountain sickness (AMS). Our guides closely monitor the group at all times for symptoms of the effects of high altitude and are always ready to take the necessary precautions when necessary. We are not only willing to go the extra mile to make your trip our priority, we are happy to do so.